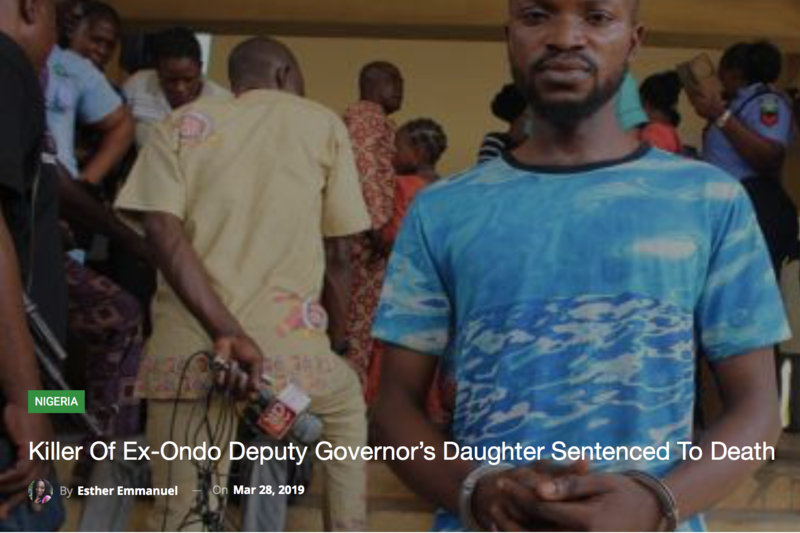 An Akure High Court yesterday sentenced to death by hanging, Mr. Adeyemi Seidu, for killing Khadijat, the first daughter of former Deputy Governor of Ondo State, Alhaji Lasisi Oluboyo. Khadijat was choked to death by her boyfriend, Adeyemi. The convict also buried her remains in a shallow grave in his room at Oke-Aro area of Akure, the state capital. The decomposing body of Khadijat, who until her death, was a final year student of Adekunle Ajasin University in Akungba-Akoko (AAUA), was found in Adeyemi’s room in June last year. Adeyemi, a graduate of Federal University of Technology, Akure (FUTA), was arrested by the police last year for killing the former deputy governor’s daughter for money ritual. The convict was charged to court on July 2 for killing his girlfriend and burying her inside his room at Aratusi, Oke-Aro area of Akure. During the trial, Adeyemi claimed that he was not the actual killer of the deceased. He said on the fateful day, his two friends carried out the dastardly act. He said he was asked to bring a jigger and a shovel to dig the grave and buried his late girlfriend, after she had been killed. Adeyemi also claimed that the supposed killers, whom he could not identify, warned him not to tell anybody about the deed or he would be killed. One of the witnesses, a pathologist, Dr. Olumuyiwa Pelemo, told the court that the result of the autopsy conducted on the deceased indicated that she had several injuries on her body which led to her death. Pelemo added that there was an abnormal shaving of the hair on the deceased’s head and the pubic region. Another witness, who was brother of the defendant, told the court that the family got wind of the killing when Adeyemi confessed to him that the deceased was dead and buried in his (Adeyemi’s) room. The witness confessed that the convict begged him to get a sack for him to dispose the corpse but he (witness) reported to their father who ordered him to report the matter to the police. The father of the defendant, Mr. Seidu Siyanbola, a bricklayer, corroborated his younger son’s testimony while testifying in court, that he knew the deceased as his son’s girlfriend and had been in a relationship for three years. He stated that his son confessed to him that some men had killed Khadijat and buried her inside his room and threatened to wipe out his family if he told anyone. Justice Ademola Samuel Bola said it was established, through the autopsy report, that the deceased did not die a natural death. He said the court did not believe the defendant’s claim that two men killed the deceased and he was asked to bury her in his room, without informing the police. Bola said the prosecution had proved its case beyond reasonable doubt that the deceased was intentionally killed by the defendant. The judge thereby sentenced Adeyemi to death by hanging. “You, Seidu Adeyemi, are hereby sentenced to death by hanging. May God have mercy on your soul,” he ruled. After the verdict, leader of the prosecution team who is the state Attorney-General and Commissioner for Justice, Mr. Kola Olawoye, expressed delight over the judgement. He, however, described the circumstances leading to Khadijat’s death as unfortunate. Olawoye noted that the state government was interested in the case because of the circumstances leading to Khadijat Oluboyo’s death and the judgement would serve as deterrent to other criminals. 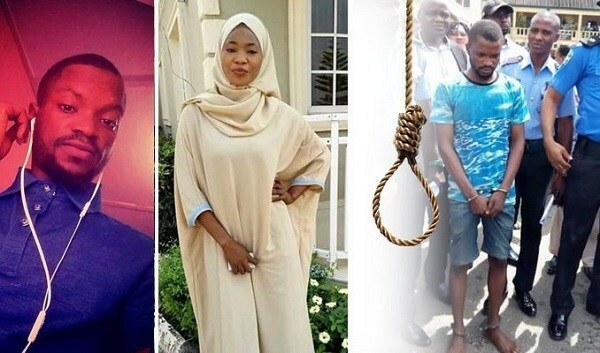 Yesterday, Seidu Adeyemi, a yahoo boy was sentenced to death by hanging by a high court in Ondo for killing his girlfriend, Khadijah Oluboyo, who was the daughter of former deputy governor of the state. According to reports, the body of the deceased who was a final year student of the Adekunle Ajasin University (AAU), Akugba-Akoko was found inside a shallow grave in the room of her killer boyfriend at his Oke Aro area of Akure residence on July 2, 2018. It was also gathered that Adeyemi lured Khadijat to his residence by where he reportedly killed her for ritual purpose. 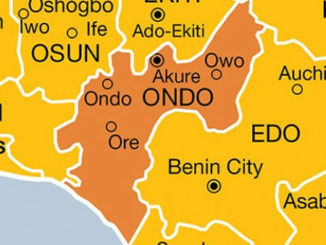 A High Court sitting in Akure, Ondo State has sentenced, Seidu Adeyemi, to death by hanging after being found guilty of killing his girlfriend Khadijat OluboyoKadijat, the daughter of former deputy governor of Ondo state, Alhaji Lasisi Oluboyom was killed by the convict in July 2018. This entry was posted in 2018, 2019, FVDK, Nigeria by Dr. F.P.M. van der Kraaij. Bookmark the permalink.